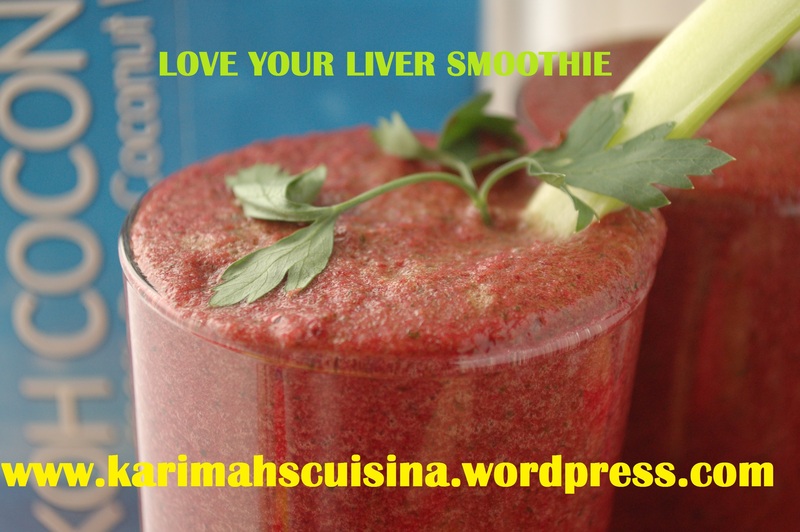 LOVE YOUR LIVER SMOOTHIE AND MORE TOO! I would love to share this with you. This morning I woke up and that spot was still there on my cheek. Possibly an indicator that my liver still needs some support. I had parsley in my fridge, celery and beetroot. Now I have to tell you that part of me doesn’t jump up and down at the thought of beetroot and celery juice, no jumping in that department at all, but I know it’s the right stuff. Its was actually quite pleasant and sweet and I’m looking forward to drinking it again, insha’allah. God willing. Beetroot- contains the mineral silica and this mineral is great for your bones and skin, homeopathically silica is known as the mini face lift. Silica also helps the body utilize calcium. You can be drinking as much milk and cheese as you like but if your blood is too acidic they you won’t absorb the calcium, the silica in the beetroot helps your body maximize the calcium you are putting in to it. Though I must say there are better sources of calcium than milk and cheese like almonds, collard green, spinach and rhubarb…interesting. Beetroots are also high in fibre which is great for your heart and arteries; getting rid of all that nasty plaque that builds up in there over time, and you thought you just got plaque on your teeth.It also contains antioxidants called carotenoids and flavoids which reduce the oxidization of LDL cholesterol which could lead to strokes and heart attacks if left unchecked.J its good, lots of folic acid which is great for pregnant mum’s, the baby’s growth in the womb will leech what it needs out of the mothers body so it’s really important that the mother eats healthy food to supplement in her body what the baby is taking out. No one should eat beetroot in excess and naturally it’s not the sort of thing most people would want to eat in excess. 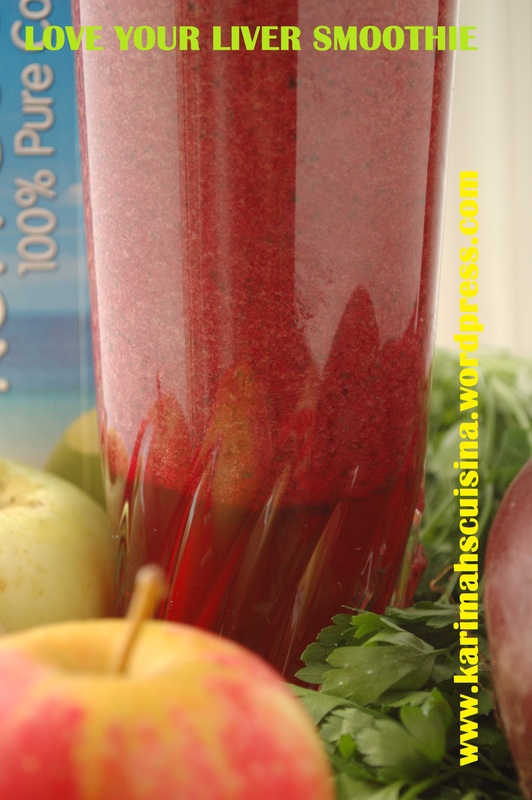 As a part of a mixed juice like this is should be safe for pregnant mothers as well as good for them. Beetroots is known to be great for cleansing the liver and boosting the immune system as it’s also contains vitamin C. It reduces the risks of colon cancer. Celery- is full of anti-oxidants, vitamins minerals and fibre, but its claim to fame is it’s great for people with arthritis, it’s an anti-inflammatory, this is due to its phytonutrients which are phenolic acids, flavones, flavanols, phytosterols and furanocoumarins, this powerful combination of essential nutrients not only reduces inflammation in the digestive tract and blood vessels but also protects the digestive tract and liver , after the consumption of acrylamides; these are potential toxic chemical gleaned from particularly friend food…….interesting. Apples are well known for teeth, to massage and clean your gums as you eat them, apples are good for cleansing the liver, preventing gallstones and reduce the risk of cancer. Past studies have shown hat people who have diet rich in fruit are 10-15 times less likely to develop cataracts. They add fibre to your diet which helps you feel full longer so helping you lose weight. This fibre can help people who suffer with hemorrhoids. Parsley – is rich in vitamin C, it’s amazing that this info that is being share now dispels some of the older stuff where we thought it was only fruits that had vitamin c. it’s more than just a sprig of decoration on your plate. It has 2 interesting components –volatile oils and flavonoids. One of these volatile oil; myristicin, has some in studies in animals to prevent tumors, particularly in the lungs. parsley because its high concentration of volatile oil is known as a chemo protective, which means it protects the body against the harmful carcigens (cancer causing chemical) smoking cigarette smoke and charcoal grill smoke, no wonder those Arabs naturally eat, loads of tabouleh to compensate that too many of them are still smoking .the flavoids in parsley are the anti-oxidants, particularly a flavoids called luteolin. This helps prevent oxygen damage to cells. Many of us think “how can oxygen be damaging, we need oxygen to breather and water is made up of oxygen as well as hydrogen, but oxygen can damages, look at what happens to brass or copper when left outside, over time its starts to discolor , turns lovely shades of blue then finally disintegrates. That’s just like us. Coconut water…..”It’s like an internal shower for the body” says Professor Aris the Amir of raw foods. 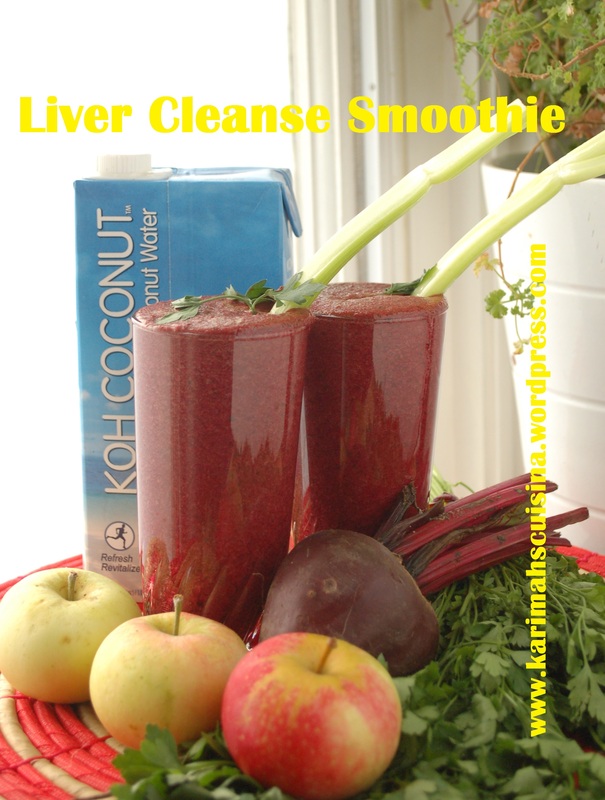 It contains simple sugars, electrolytes and mineral, perfect for anyone who has been vomiting and or diarrhea. This is due to eh electrolyte properties of potassium and sodium it contains. People having kidney dyalalasis should ask doctors before drinking lots of coconut water, as too much sodium can interfere with their treatment. It has s similar mineral composition to oranges but it lighter and more gently on the digestive system.it contains the mineral calcium, magnesium (good for nerves) manganese (good for energy), zinc and iron.